Showing 2 articles from September 23, 2017. 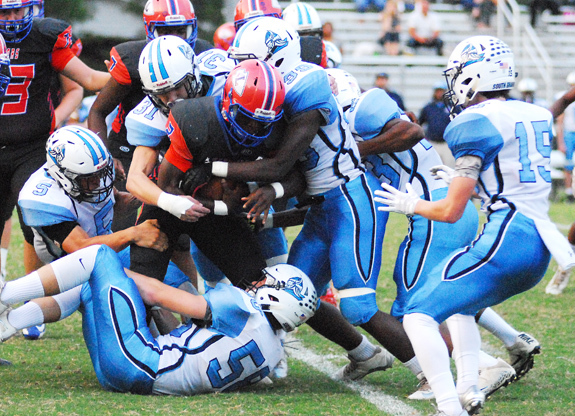 South Granville continued its early-campaign success Friday by rolling past host Louisburg by a 52-0 margin in a NCC showdown at LHS' Patterson Field. WAKE FOREST -- The journey wasn't long, but the step up in typical competition level was huge Friday for the Franklinton Red Rams.